Welcome to Lakeview Academy Upper School, grades 9-12. 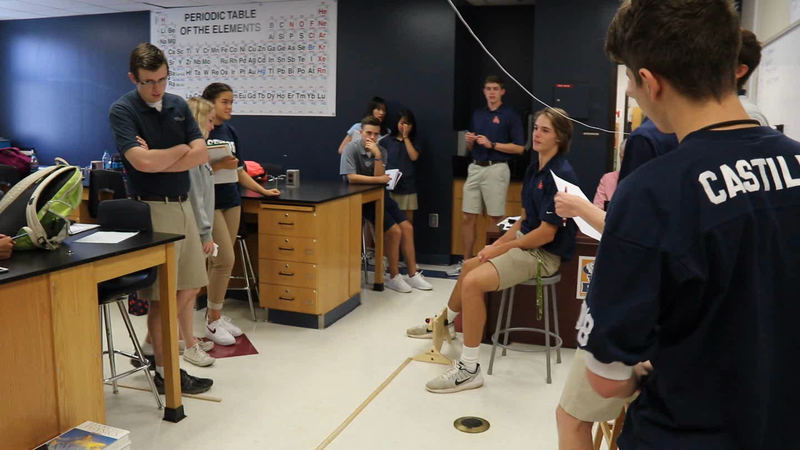 The Upper School strives to empower students to be independent, responsible citizens, by promoting a culture where all students develop a feeling of self-worth, pride and confidence. As a college preparatory school, we desire for all students to excel in all subjects academically. Our advanced curriculum includes fifteen advanced placement courses and nine honors courses divided among all content areas. Along with our rigorous academic curriculum, our students are enriched with physical education, fine arts and technology. The faculty and staff at Lakeview understand the value of a good education and the significance of faculty, parents, and students working together. Please do not hesitate to contact me if you have questions, comments or concerns. "I've learned that at Lakeview Academy that there will always be a teacher who has your back academically and socially because of the amazing relationships we build here." Coach Gruhn has taught me that hard work and a brotherhood can beat mediocrity and entitlement. Lakeview has been my home for several years; when people ask why, I say that it's because the entire faculty helps and encourages me to be my best. The Upper School teachers, as a whole, have not only helped me become a better student and a better athlete, but have guided me on becoming a better person, and I will be forever thankful for them. North Georgia College & State University - M. Ed. Georgia Southern University - B.B.A. Lincoln Memorial University - Ed.S. North Georgia College & State University - B.S.Ed. Upper School Office Administrative Asst. Brenau University - M. Ed.